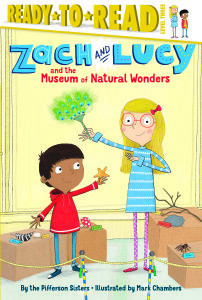 Zach and Lucy and the Museum of Natural Wonders is a finalist for the Washington State Book Award in the Books for Young Readers category. In this charming and hilarious Level 3 Ready-to-Read series, practical Zach and his inventive sister Lucy live in a little apartment in a big city—their space may be small, but their imaginations are just the opposite. In their first big adventure, scheming siblings Zach and Lucy decide to create their own museum…in the basement of their apartment building! 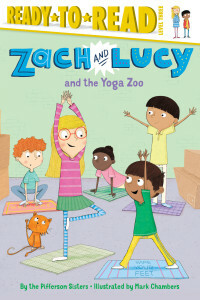 In their second adventure, Zach and Lucy open a yoga studio for all of their friends.